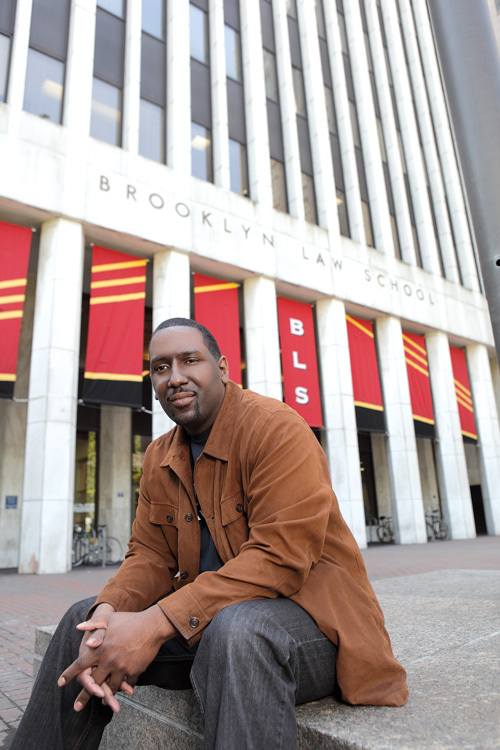 Dwayne Thomas learned all about the stock and bond markets as a finance major at Baruch College in New York. But a bachelor’s degree in finance doesn’t mean you’ve learned anything about managing your own money, he says. At 36 years old, Thomas is at a crossroads. He’s recovering from a mid-recession layoff by going back to school to pursue a law degree at Brooklyn Law School this fall. “I am very fortunate; much of my tuition is paid for by grants, scholarships, and a fellowship,â€ he says. The cost of the 2010—2011 school term is $43,990. Thomas received around $33,000 in grants, scholarships, and a fellowship, in addition to $20,000 in school loans, leaving him with an extra $9,000.Â The grants and scholarships were merit awards. One scholarship is need based, which he received after submitting a financial aid application. All of the rewards are renewable, provided that Thomas maintains a class standing in the top 40%. Once he graduates from law school, Thomas won’t be looking to collect a big paycheck. His plan is to open his own legal aid practice and work as a public attorney. Thomas is well aware that his salary as a public service lawyer will be lower than his fellow graduates who join large private firms. The average starting salary for a legal aid attorney is $40,000. Private firm attorneys start with an average salary of $125,000. Beyond his career aspirations, Thomas needs a viable plan for saving and investing for his future. Earlier this year, he was laid off from his $44,000-a-year job as an insurance salesman with Geico. He is currently collecting unemployment benefits totaling $1,720 per month. He shares a two-bedroom apartment with his mother and his living expenses add up to around $900 a month, which includes his $301 monthly car payment. Thomas’ debts total $13,600 (with about $12,000 left to pay on the car loan for his 2007 Ford Mustang and some $1,600 on credit cards). He has been paying $500 a month toward his credit card balance which he will have paid off by September of this year. In terms of savings, he has about $1,100 in checking and savings accounts combined, $4,308 in a stock portfolio, $2,548 in a bond fund, and $19,000 in a 401(k) from his former employer. Thomas’ short-term financial goals are to pay off the car loan. Even though he has limited income he wishes to help his mother pay down her $15,000 credit card debts as his way of giving back for all that she has done for him.